The 2017 bullion sovereigns will be released on 8th December. We received our first delivery on 12th December, 2016. 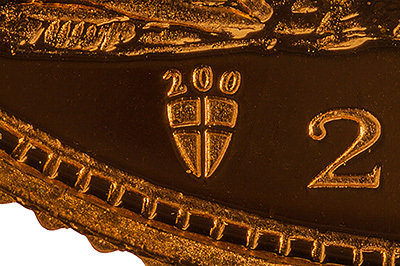 The 2017 uncirculated sovereign features a privy mark to celebrate the 200th Anniversary of the Modern Sovereign. The privy mark consists of a shield with the number 200 above it, this is placed to the left of the date on the reverse of the sovereign. 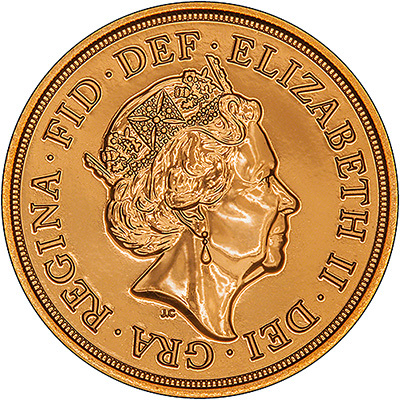 We expect the bullion version of the coin to feature the fifth coinage portait of Queen Elizabeth II, by Jody Clark. The reverse will likely be Benedetto Pistrucci's St George and the Dragon design, as seen in previous years. We do not think the design will have the remastered St George design, which will feature on the proof version of the coin. 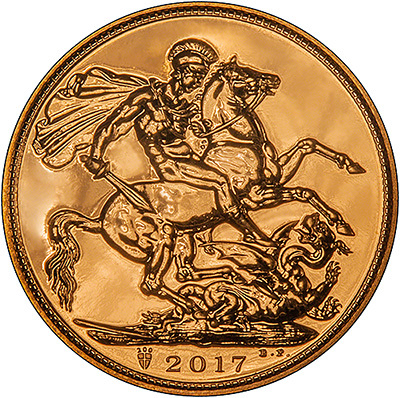 The 2017 proof version of the sovereign features a remastered version of Benedetto Pistrucci's St George and the Dragon design.